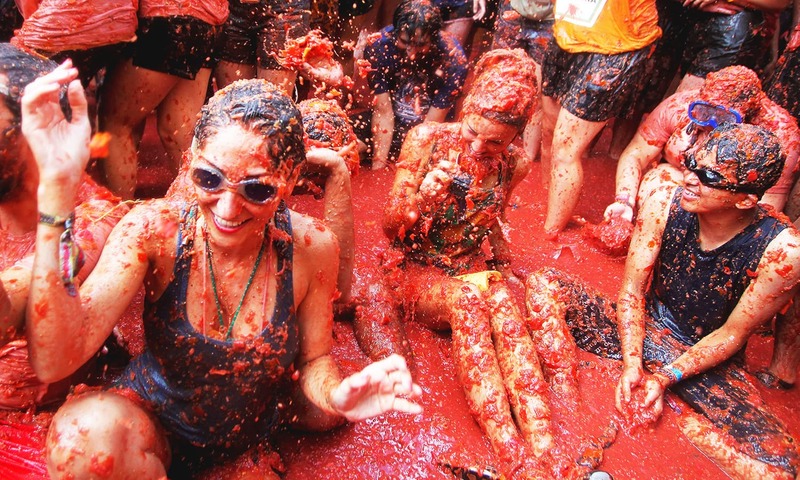 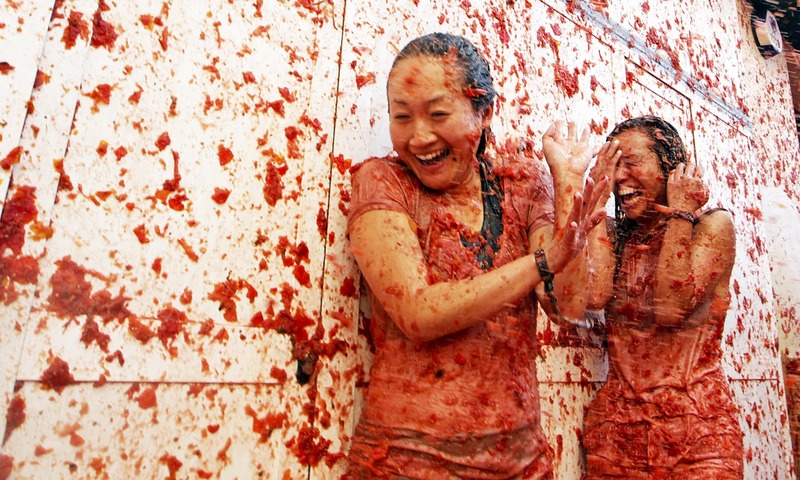 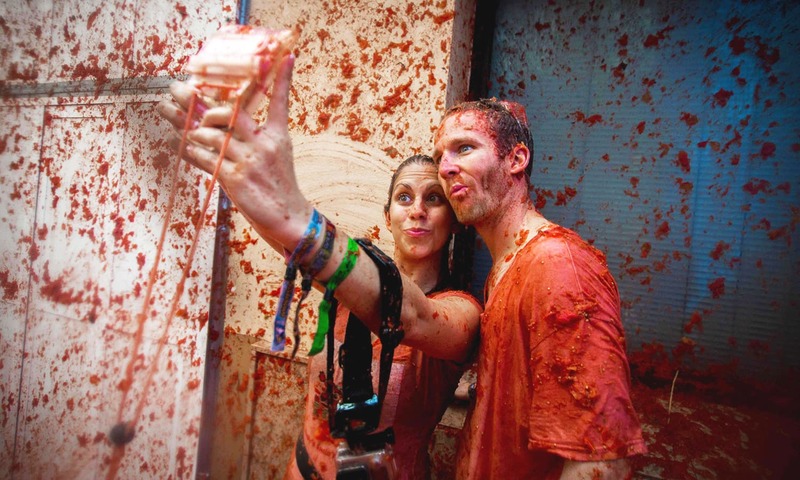 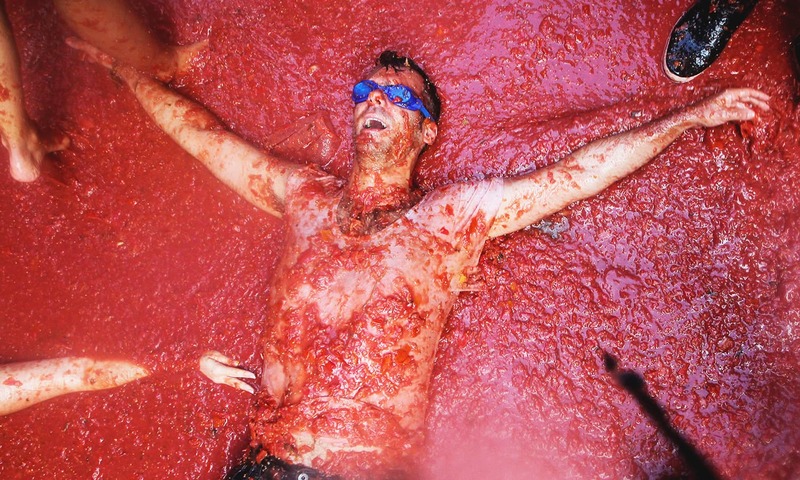 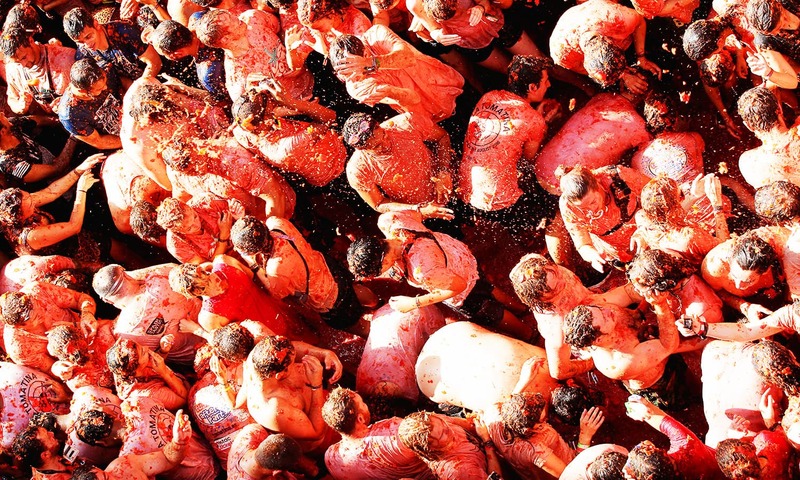 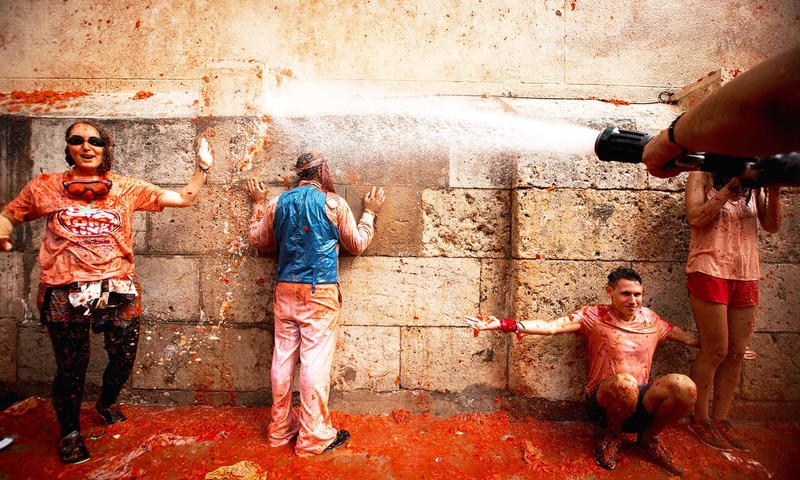 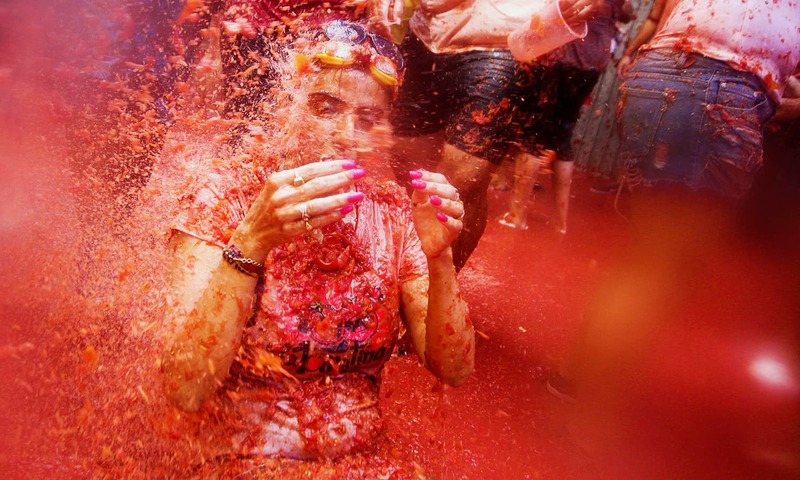 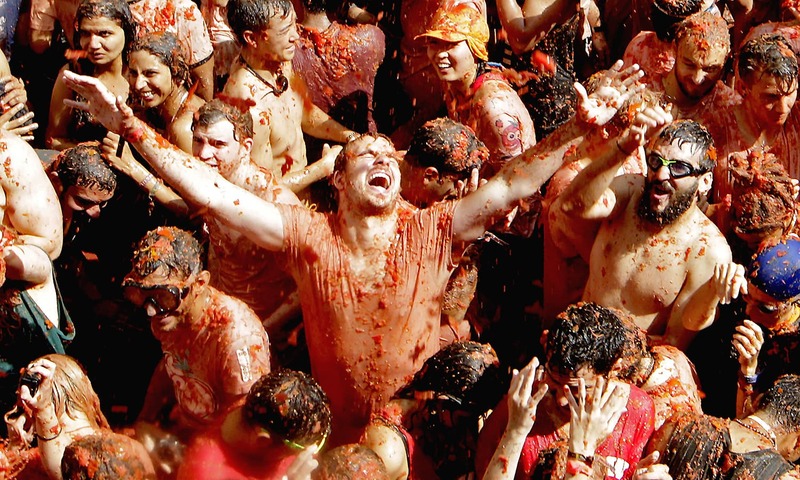 Bunol Spanish city of Valencia was busy on Wednesday in preparation of “La Tomatina Festival “. 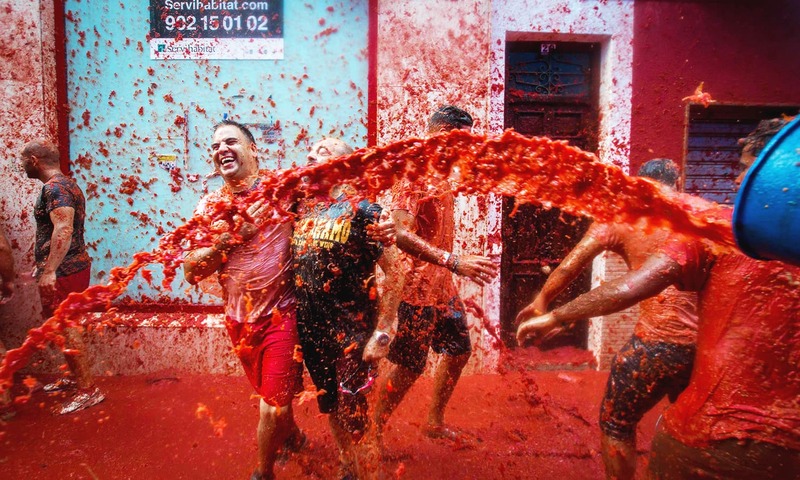 Approx 150,00 Kg of ripe, red tomatoes were delivered to the Bunol. 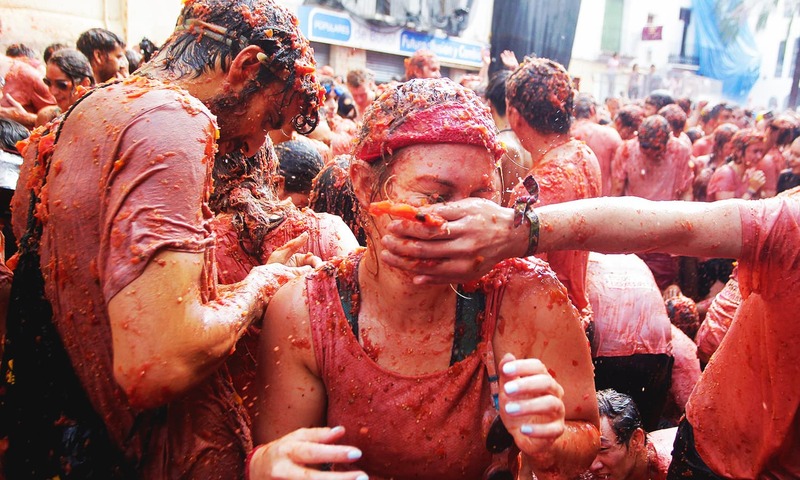 The village prepares for the fight by covering up balconies, houses and shopfronts in plastic and locking them down as thousands of participants, including both tourists and locals enjoy the day by reveling in a mad food fight all over the streets of Bunol.